Our Mission. Our Promise. Our Staff. Welcome to young guns middle schools programs for players in the 7th & 8th grades where our focus will be on practice and training, introducing and preparing you for the recruiting process, competing in High Level Invitational, Tournaments and preparing you as a player and person for High School and beyond. We want to share in your growth and enhance that Experience so you will always be able to look back at School and Dukes Lacrosse as a very special time. Graduated from LaSalle in 2005, where Rob was a 2x All-State and All-American player and le ad LaSalle to its first ever state championship in 2004. Rob attended Penn State University where he was a starter for four years. Rob led the team in goals for the 2007 & 2008 season. In Rob’s senior season, 2009, he led Penn State in points. Since graduation, Rob has helped coached LaSalle to a state championship. In Rob’s first year as a headcoach he transformed the Academy of New Church’s lacrosse program by leading them to a 15-3 record while capturing their first ever league championship (prior year ANC was 5-13). Rob is responsible for training 7 different All-American players and coaching two of PA’s top 5 leading scorers in 2014 at Academy of the New Church. Graduated from LaSalle in 2007 and lead LaSalle to twostate-finalsappearances. 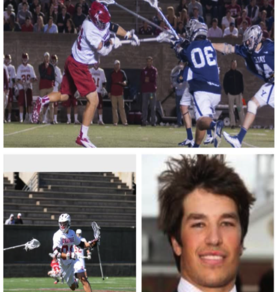 During Jack’s career at LaSalle he was a 2x captain, 2x All-American and Inside Lacrosse’s #3 overall recruit. Jack followed his brother to Penn State University where he became a captain. 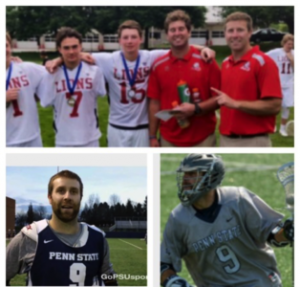 Jack placed himself among Penn State’s all-time greats by becoming the 2nd goal scorer in PSU history.Jack has professional lacrosse experience with playing with the Chesapeake Bayhawks MLL franchise. Jack’s coaching experience is similar to that of his brother. He helped mold the Academy of New Church’s revamped offense and coached the #2 and # 5 leading scorers in Pennsylvania (2014) @ Academy of the New Church. – 1st team All-Colonial Athletic Association player, as well as an All-American. Graduated from LaSalle in 2009 and won 2 state championships during his tenure. 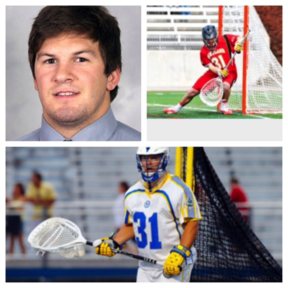 Niko was a 2x captain and 2x All-American, and the #1 goalie recruit in high school. Niko went on to play lacrosse at the University of Maryland where he was named a team captain, 4x All-ACC (only goalie ever), 3x All-American, 2014 Nation’s top goalie/ 1st team All-American, and the first goalie in ACC history to be the league’s player of the year. At Maryland Niko helped his team win an ACC championship in 2011 and reach two national championshipgames, and three final fours. 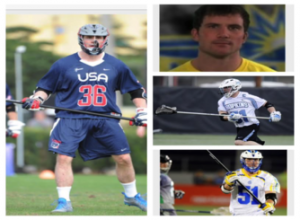 The MLL’s Florida Launch drafted Niko to play professional lacrosse. 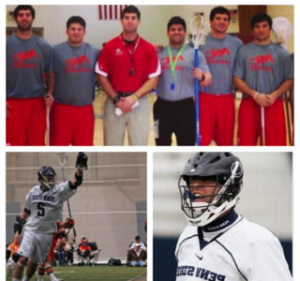 Niko is also an LXM Professional player and is an Adrenaline Lacrosse sponsored athlete. 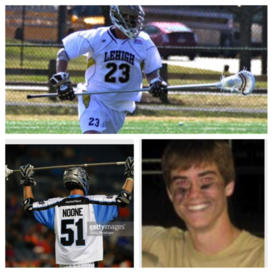 -2009 Phillylacrosse.com Pennsylvania Player of the Year. -William C. Schmeisser Award winner as the nation’s top defenseman. 2x All-Ivy, 2x All-New England and an Ivy League championship. Professional Lacrosse experience with Chesapeake Bayhawks. As a sophomore (2015): Appeared in all 19 games (18 starts), totaling 59 points on 40 goals and 19 assists … first Maryland player to score 40 goals in a season since Joe Walters in 2004 … scored two goals and added an assist in season-opening win at Navy (2/14)…posted a goal and an assist at Yale (2/21)…notched five points on three goals and two assists against No. 11 Penn (2/24) … had two goals against Drexel (2/28) … scored a hat trick against No. 10 Princeton (3/7) … posted three goals and an assist at Villanova (3/14) … had an assist and three ground balls against No. 2 North Carolina (3/21) … scored one ground ball and had three ground balls at Robert Morris (3/24) … posted a hat trick against Michigan (3/29) … had game-high five points (3G, 2A) versus Penn State (4/4) … scored two goals and dished an assist against No. 19 Loyola (4/8) … starred at Rutgers (4/12), posting career-high three assists and scoring three goals, including the game-winner with 13 seconds remaining … had two goals at Ohio State (4/18) … scored pair of goals against Hopkins (4/25) … scored twice in Big Ten semis against Ohio State (4/30) … had a goal and two assists in NCAA First Round vs. Yale (5/9) … had a goal and twoassist in NCAA Quarters vs. North Carolina (5/17) … matched career-high with six points on four goals and two assists in NCAA Semis vs. Johns Hopkins (5/23) … had two goals and an assist in the NCAA Final vs. Denver (5/25). As a freshman (2014): Started all 17 games, ranking second on the team in goals (30) and points (36) … amazing collegiate debut with four goals… Became the first Maryland freshman with four goals in the season opener since 2008. Second straight hat trick with three goals, in 14-3 win over UMBC (2/15) … two goals, including his third-straight game-winning goal, and one assist in 16-8 win at No. 2 Syracuse (2/22) … one goal, one assist and two groundballs in 10-6 win over No. 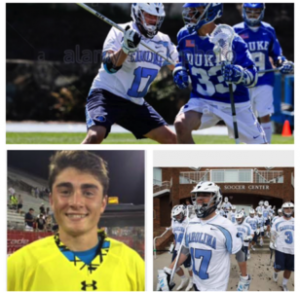 1 Duke (3/1) … tied his career high by scoring four straight goals in 13-5 win at Michigan (3/18) …fourth hat trick of the season with three goals in 19-6 win over Robert Morris (4/2) … two goals and one groundball in 12-8 win at No. 8 Notre Dame (4/19) … became the first Maryland freshman since Mike Mollt vs. Hofstra in 2000 with a hat trick in an NCAA tournament game with three goals, including two extra-man scores, in 8-7 win over Cornell (5/10) in the first round of the NCAA tournament. 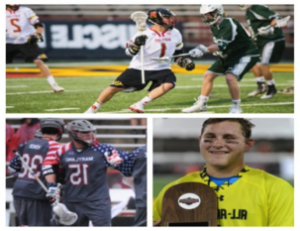 Before Maryland: 2013 Under Armour High School All-American … game-record eight goals for the South team in UA All-America game to earn 2013 MVP honors … three-time US Lacrosse High School All-American … 2013 NILCA First Team All-American … ranked the No. 1 freshman attackman in the nation according to Inside Lacrosse … ranked the 2nd overall recruit by Inside Lacrosse … three-time member of the Philadelphia Under Armour Underclassmen team … named the MVP ofthe 2012 Under Armour Underclassmen tournament … his shot hit 102 mph at the 2012 Warrior 40 event … three-year letterwinner at LaSalle College HS … scored 80 goals and added 37 assists as a senior … 2013 PhillyLacrosse.com Player of the Year … led the Explorers to the 2013 PIAA championship after scoring four goals vs. Conestoga in the title game … 2013 Catholic League MVP … 2013 All-EPLCA … four-time first team all-state and all-league … 2012 Times Herald Player of the Year. 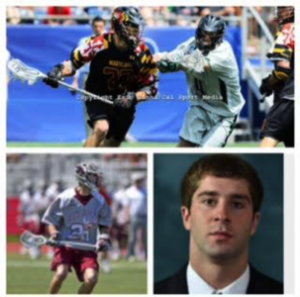 2014 (Freshman): The only freshman to start in all 15 games for the Tar Heels…won the Jay Gallagher Memorial Award as the most valuable freshman on the 2014 team…named honorable mention All-America by the USILA…earned ACC Defensive Player of the Week honors for his work in the Maryland game…held Maryland attackman Matt Rambo pointless in the game…picked up 32 ground balls, including multiple ground balls in eight games…recorded five ground balls in back-to-back games versus Duke and Harvard…caused 10 turnovers, the most of the starting close defensemen…had three caused turnovers against Dartmouth and two against Harvard and Maryland…scored his first career goal against Dartmouth as the final goal of the first half. Highschool: 2013 Under Armour All-America selection…an alumnus of Abington High School…four-year varsity starter on the lacrosse team…two-time high school All-America…member of Philadelphia Under Armour underclassman champions…two-year lacrosse captain at Abington…rookie of the year for his high school team in 2010…consistent player all through his high school career…had 140 ground balls as a senior to go with 14 goals and 15 assists…as a junior he scooped up 120 ground balls and had eight goals and five assists…combined his freshman and sophomore years for eight goals, five assists and 220 ground balls…awarded “The Order of the A” for courage, loyalty, athletic ability, scholarship and sportsmanship. 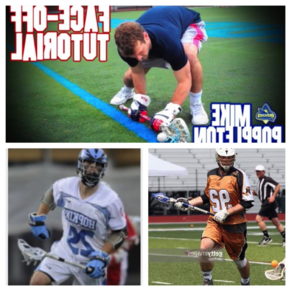 2014/2012 (Maryland): Posted one goal and one assist to go with two groundballs against #2 Syracuse… Dished out one assist in first collegiate start against Mount St.
-Tallied first collegiate multi-point and multi-goal game with two goals and one assist against #3 Duke in semifinals of NCAA tournament… Scored goal in collegiate debut against Hartford… Scooped up onegroundball against #1 Loyola in the finals of the NCAA tournament, #2 Virginia, and Navy.